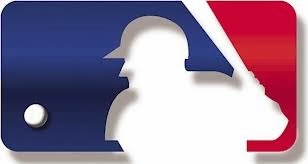 Part 3 of @SportsGeek02 and Tru School Sports look at the Top 40 MLB Free Agents is here. This section breaks down the free agents ranked from 26-30 and provides a quick look at where they are projected to go, as well as what they will bring to their new team. Each of these players brings his own unique set of tools to the table, making them desired commodities on the open market. As we get closer to the top 10, the stove is getting hotter, the numbers get bigger and so do the dollar signs. If you have not done so yet, make sure to check out Part 1 and Part 2 as well. 30.) Corey Hart, 1B-OF (2013 stats: DNP due to injury): Coming off a year in which he did not step foot on the field, Corey Hart is still widely considered a solid corner outfielder mainly due to his bat. In 2012, Hart hit 30 HRs and had an OPS of .841, which simply cannot be ignored. While he has the ability to step into the infield at first base, expect Hart to get one more shot at being a corner outfielder in the majors before he is relegated to either first base or DH. There are many teams looking into Hart’s health, and whoever signs him will likely give him roughly half of his 2013 salary of $10 million and only one-year as a means of seeing how things go. 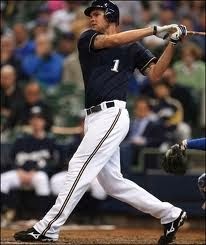 If healthy, Corey Hart could be one of the steals of this off-season. 29.) Phil Hughes, SP (4-14, 5.19 ERA, 121/46 K/BB in 145.2 IP): Looking at those numbers, you are probably wondering what Phil Hughes is doing in the top 30 of all MLB free agents. Once one of the top prospects in baseball, Hughes has had an up and down career in which he has shown flashes of being a reliable number two or three starter in a rotation. He also has struggled mightily with his consistency in New York, but considering his devalued stock and impressive repertoire of pitches, he may be too good for a sub-.500 team to pass up. Personally, I feel as if the confines of Yankee Stadium were not the kindest to a fly-ball pitcher such as Hughes, meaning that regardless of where he lands it will likely be a big ballpark that is friendly to pitchers without sinking stuff. 28.) Nate McLouth, OF (2013 stats: .258/.329/.399, 137 H, 30 SB in 531 AB): While certainly not a household name to people outside of Baltimore and Pittsburgh, Nate McLouth is simply one of those players that does not grow trees. Having been a top-notch prospect with Pittsburgh, McLouth has flown underneath the radar in recent years with the Orioles. Combine his extremely cheap salary ($2 million in 2012) and his ability to play Gold Glove caliber defense with his prowess for getting on base, stealing bases, and scoring runs and you have yourself one heck of a bargain. Coming of a one-year feeler contract, McLouth is looking for a multi-year deal around what Marlon Byrd and David DeJesus received (probably cheaper). Expect the Orioles to throw in the towel on Carlos Beltran, re-sign McLouth, and get back to focusing on their starting rotation. Before a gruesome ankle injury derailed his season, Tim Hudson was doing what he always does: winning ball games by keeping his team in the game and generating constant ground balls. At 38, Hudson has at most one or two years left in the league. 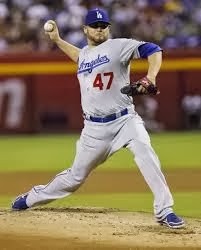 However, his pitching style allows him to be a middle of the rotation guy until the day he retires. He is a seasoned professional who will go about his business and present a veteran presence in any dugout. While there is a slight chance of retirement, it sounds like Hudson is looking for a one-to-two year deal with an incentive-laden contract on an instant contender. 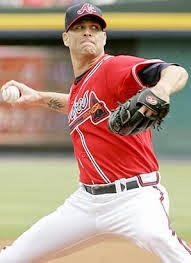 I expect the Braves to bring him back so that he can allow some of their young pitching a bit longer to develop, while also giving him his proper send-off. 26.) Ricky Nolasco, SP (2013 stats: 13-11, 3.70 ERA, 165/47 K/BB in 199.1 IP): After posting an impressive second half with the Dodgers, Ricky Nolasco has become one of the more talked about starting pitchers on the market this off-season. While he will provide a team with a guaranteed middle-of-the-rotation starter who eats up innings and likely will finish with a record over .500, I have a feeling he will be getting a deal that simply does not reflect his future contributions. If you really break down the numbers, Nolasco can be compared to #10 ranked free-agent Hiroki Kuroda when it comes to innings pitched, but not ERA (although ERA estimators show Kuroda’s 3.40 and Nolasco’s 4.30 being much closer together over the past 5 seasons). His plus command and ability to go deep into games are attributes you do not see every day, so expect a four-year, roughly $50 million deal for Nolasco. Scott Eastment is a former college baseball player at Frostburg State University and has his Master of Business Administration degree in both sport business and marketing. He is the lead MLB writer for Tru School Sports while also covering the NFC East and various sport business topics. He also is a MLB contributor and Nationals lead writer for @MLBHotCorner as well as a die-hard DC sports fan, avid extreme skier, and close personal friend of Mr. Ron Burgundy. Catch up with him on Twitter, Facebook, LinkedIn, & Google+.